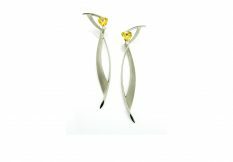 Formed from sculptural sweeping curves, these statement Juno ear studs hold a pair of trillion cut stones accented with a brilliant-cut diamond. 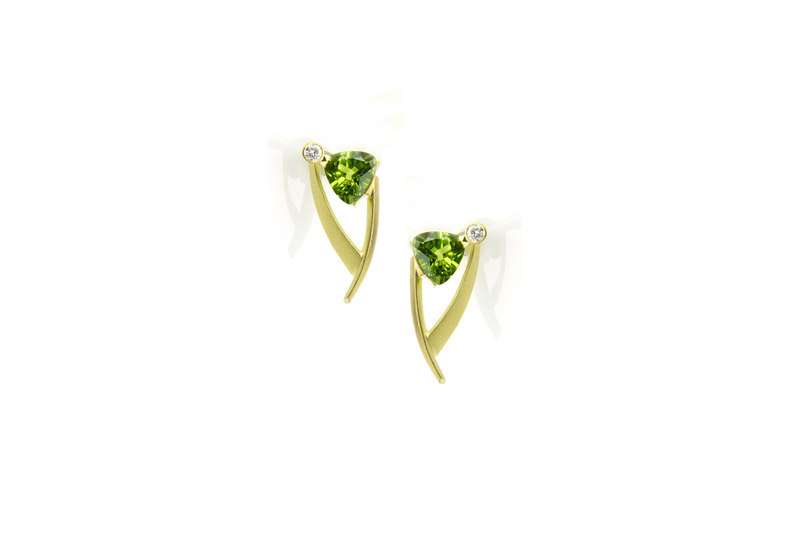 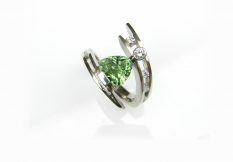 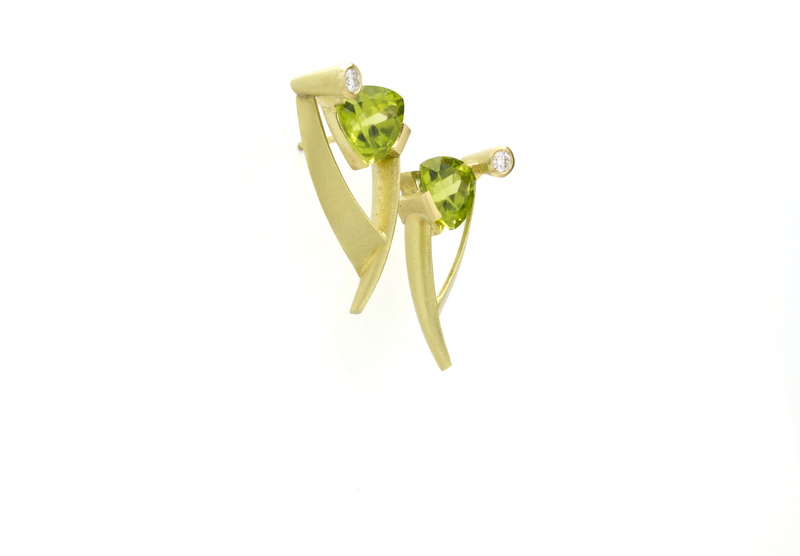 Shown here: 18ct yellow gold, peridot and diamond. 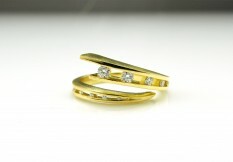 Available in: White, yellow or red gold or palladium.